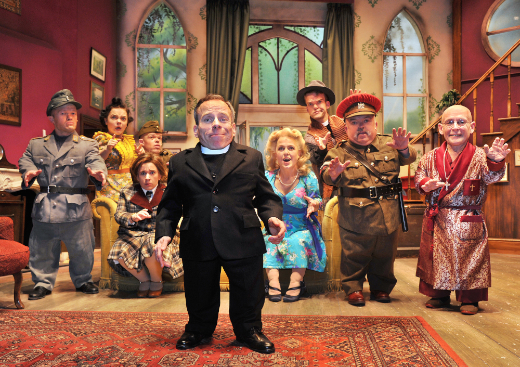 The Reduce Height Theatre Company was founded by me, Warwick Davis, and has been a dream of mine for many years. That dream was not only to appear in classic plays by distinguished playwrights, but also to celebrate the diverse range of untapped acting talent that exists among the short actor community. I'll be teaming up with the best actors from around the UK, who all just happen to be roughly 4 feet tall. We will be performing some of theatre's best loved plays, in some of the best theatres in the UK. With the support of one of London's most experienced producers, The Reduced Height Theatre Company abides by the most exacting standards in all areas of production. Our costumes and sets are all bespoke, only to a smaller scale. Audiences who attend our productions will be treated to a uniquely memorable theatrical experiences that only The Reduced Height Theatre Company can deliver. The Reduced Height Theatre Company - reaching new heights in theatrical entertainment. Our first production 'See How They Run' will tour the UK from 19th February to mid May. Book your tickets here now!